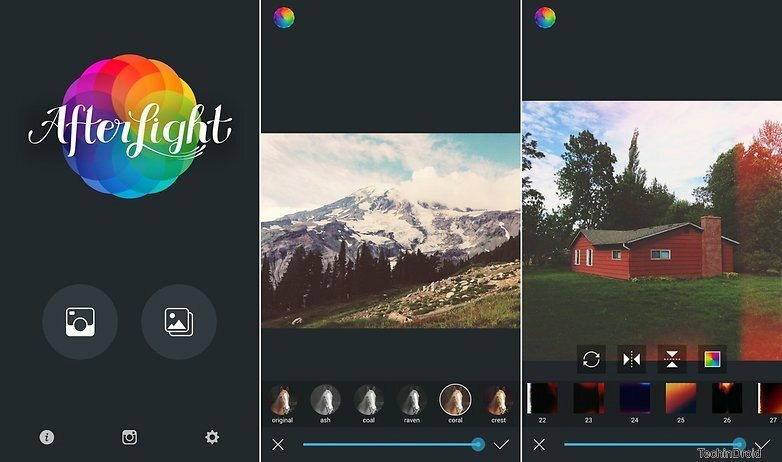 What are best free photo editing apps out there? Which ones are worth your time? With thousands of photo editing apps launched each year, finding the one that is perfect for your needs is what we deeply desire. The quality of pictures has been significantly improved by the smartphone technology. In earlier times, photographers with expensive equipment could only get good photos. But the time has changed now. Software like CorelDraw or Photoshop were used for post-processing done in computers. Now, taking a good picture is just a matter of few seconds with the advent of Android smartphone. All you have to do is explore these photo editing app options. Investing in a good photo editing software is better than relying on the editing options available in the smartphone. These supersede the in-built options offered by the manufacturer. If you are wondering which apps to invest in, you need not think a lot. We have a list of best options ready for you. Moreover, these photo editing apps are free of cost and easy to use. So you don’t need special talent or make any investment. Snapseed is the photo editing app offered by Google. This app is extremely versatile and offers various options apart from the addition of filters to pictures. With this app, you can improve, tone and balance your photos with selective modification to them. You can even customize various aspects of editing and save them. You can make quick changes with a few taps. It provides features like FacePose and FaceEnhance which properly portraits using three-dimensional models. This photo editing app is a third-party photo editing software which is extremely popular and has been in use for some time. It provides decent features to edit your picture with a few screen taps. You can also draw on photographs and give them a custom touch. You can also remix images by blending them with images from PicsArt library. This helps you create a work of art from a simple image. You will find cool features including stickers, collages, filters, etc on this consumer-driven app. You can create clipart and stickers of your own by PicsArt sticker maker feature. This comprehensive app for photo editing allows you to use several effects while shooting them. Live camera effects and filters help you get the most from the images. You will notice the difference instantly when compared to standard editing. The photo effects can be applied to the entire images or selective parts of the images you can also make innovative collages by using multiple pictures at one time. This addition is not that surprising as it is found in many photo editing apps. Still, the app is pretty functional and provides tons of features. Android 4.1 devices can use this app. Adobe has developed many photo editing software for mobile devices PCs looking at this aspect, this addition shouldn’t be a surprising one on the list. It provides a simplistic user interface and access to various top features that are required from the app. You can adjust subject appearance, remove blemishes from pictures and add filters among several other features provided by this app. You are required to sign in with an Adobe ID to access the additional features of the app. Its collage maker helps you transform multiple pictures into a proper photograph and capture memories in a frame. With this photo editing app, you can make selective adjustments to your pictures without affecting their entirety. You can further transform the entire image if you want to. With the help of many filter option and single tap transformation features, you can simply change the feel and look of a photo completely. The “brighten” function allows you to enhance the image immediately. Bokeh effects can be added by using tools of this app.